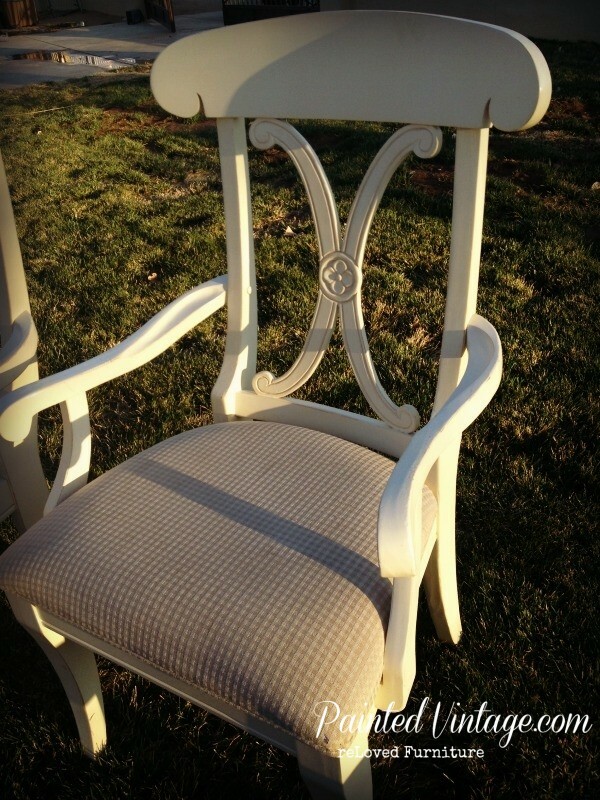 One of my clients brought me these gorgeous dining chairs that she wanted refinished. 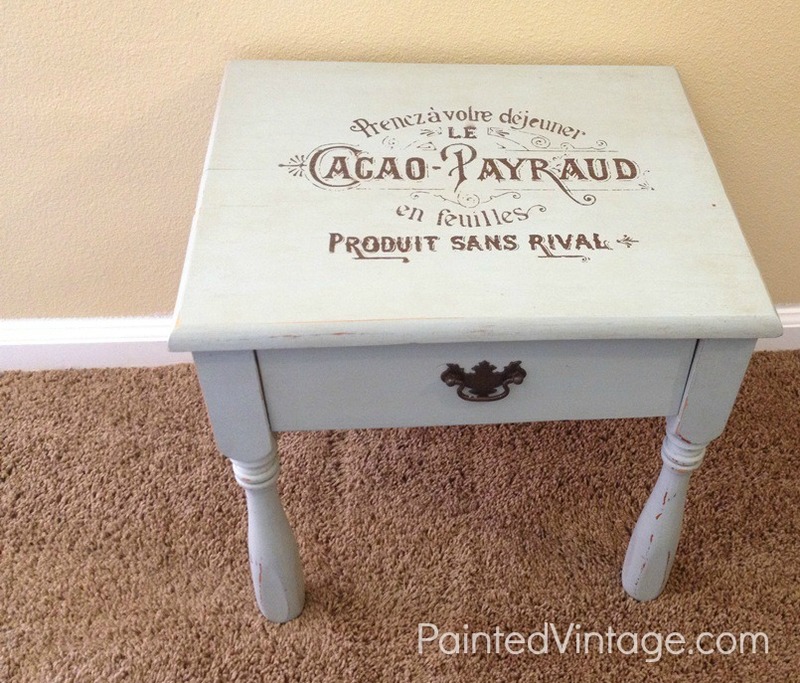 I had already refinished the matching table top, which came out so beautiful! But darn it! I forgot to take good before and after photos!! The chairs and table had a shabby white finish. She decided to keep that finish on the table base and go with a dark grey on the chairs for a nice contrast. I know… Not bad, right? I love all the carved details! After I removed the seat cushions, I went through and tightened all the screws and made sure all the joints were good. They were in really excellent condition and didn’t need any repairs. 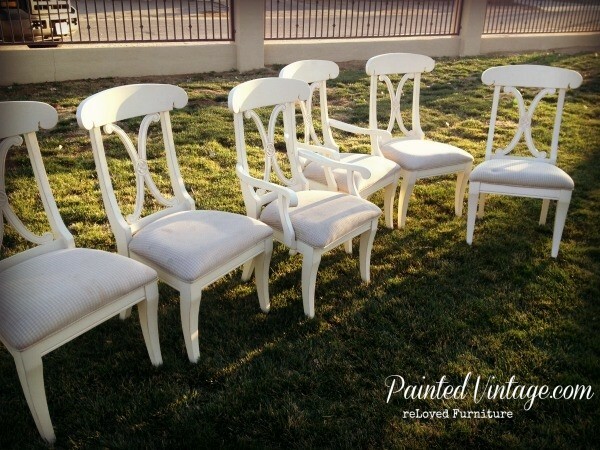 Then I sanded and primed all six chairs. 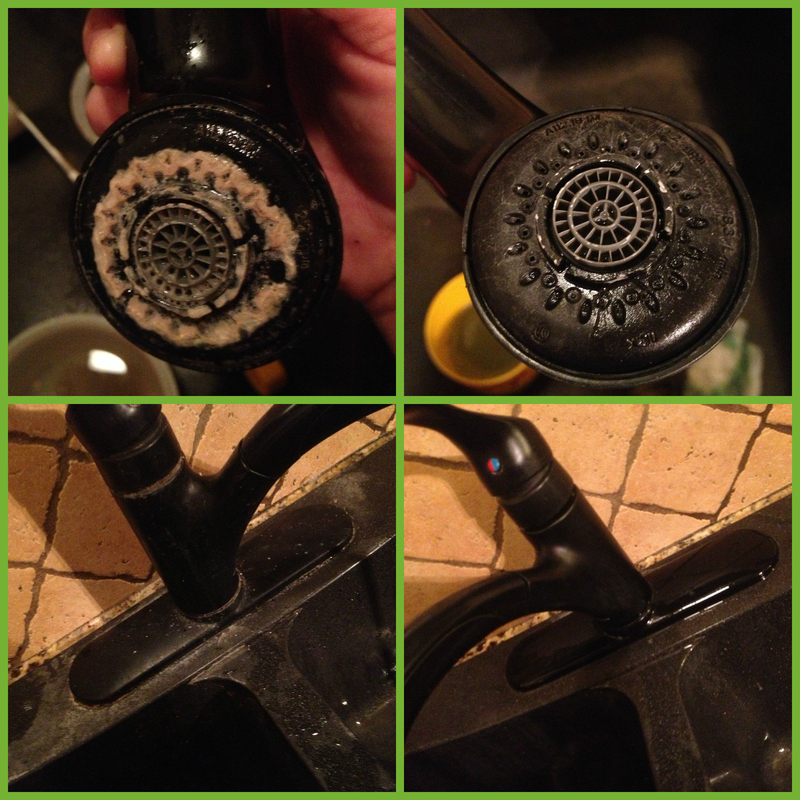 I used my Graco HVLP Spray Station, which really saved about two years worth of my life! 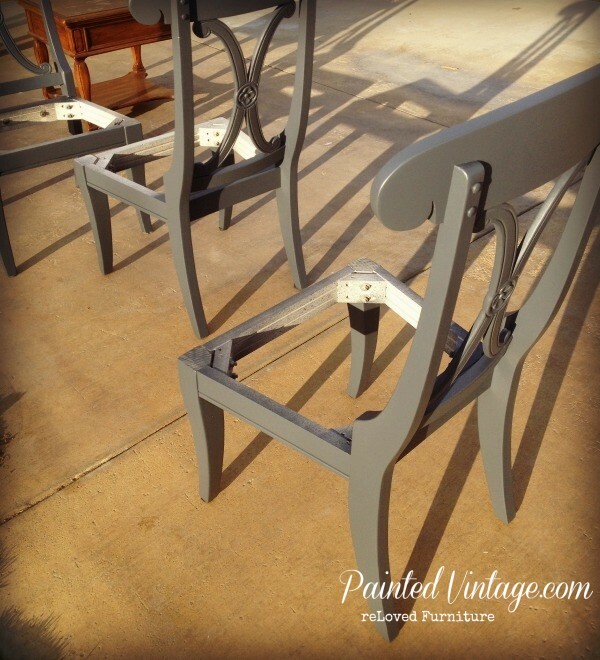 The primer I used for this dining chairs redo was Zinsser Cover Stain. I tinted it first, to a light grey, so the finish coat would have better coverage. 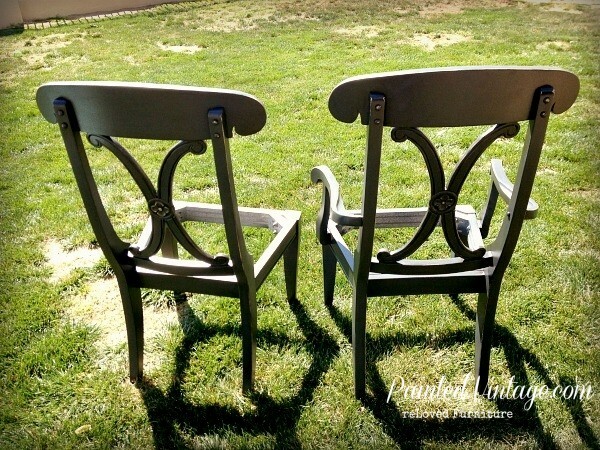 After the chairs were primed, I painted them with Sherwin Williams Cyberspace. I absolutely love this color!! It’s the perfect dark grey. Now personally, I loved the way they looked just. like. this. With the clean fresh coat of SW Cyberspace. If this was my dining chairs redo, I would have stopped here. 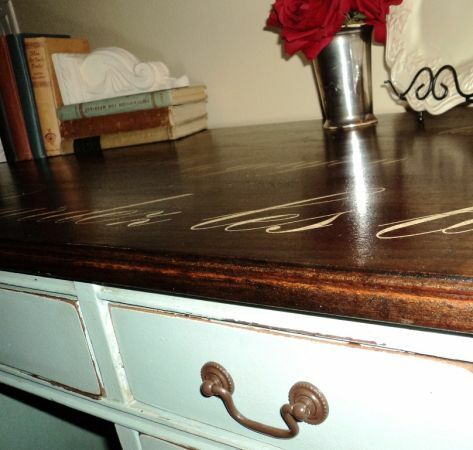 So after the finish dried, they were distressed down to the original paint, to reveal that yummy cream color in the wear spots. 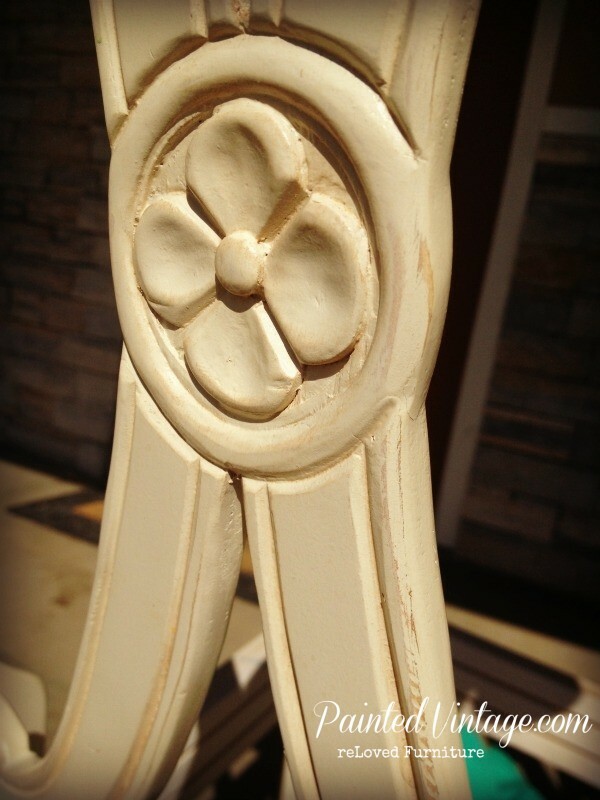 Then a darker glaze was applied, to bring out the carved details and recessed areas. And finally! The finished product! 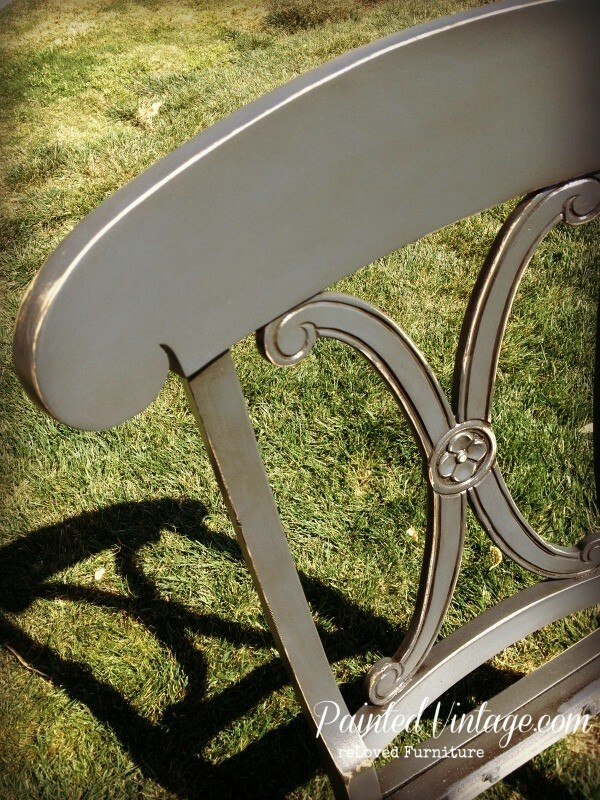 So, while I don’t have the final makeover reveal, as my client is having the seats reupholstered, I will update this post when she sends me new pics!! Wow! These ideas are good and the way you refurnished these chairs is just amazing. Thanks for sharing this blog! 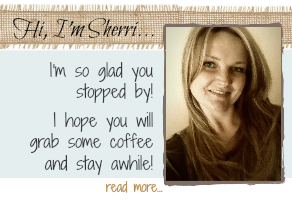 Hi Sherri, I love the dining room chairs re-do. Could you please tell me what kind of paint sprayer you use? You said a Graco, but what size or model number? I have been hand painting everything and would like to invest in a sprayer, but have no idea what to buy. Also, do you have to use an oil based paint? 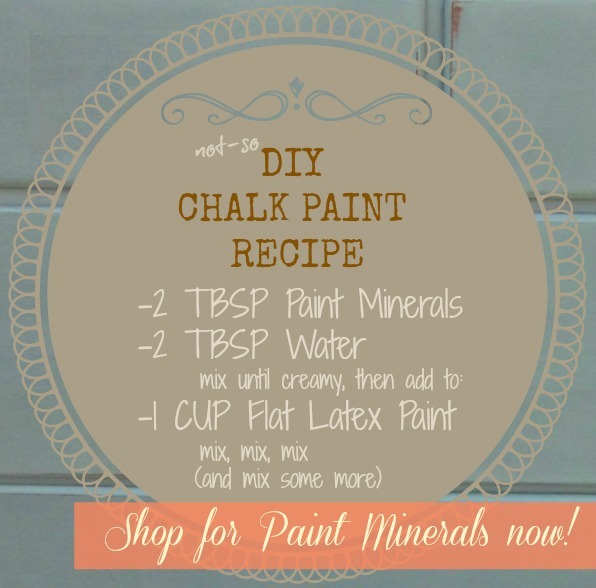 Have you tried chalk paint? 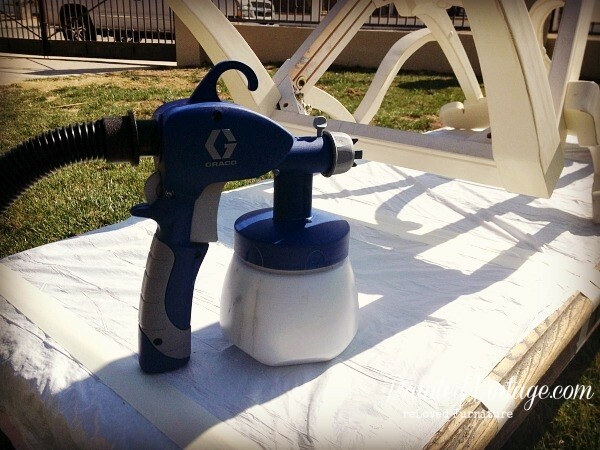 A paint gun makes and painting process so much easier. The dark grey looks incredible. Thanks for sharing! Yes, it does!! Thanks so much!! Very pretty and extremely professional looking. Did you do a positive or negative glaze application and what color did you use. Did you hi lite with glaze or apply allover and wipe off. Almost comes across golden looking . Ah, thank you & good luck with your chairs!! Super cute!! Great job! Looking forward to see what she upholsters them with.